In Spain the V200 039 is for sale. Comsa used this locomotive for many years for track maintenance on both gauges. In Germany V200 015 is for sale. The locomotive is not complete and one suspension probably defect. In a grey livery V270 121 (ex V200 121) came into service for Arriva Werke Nord. The locomotive has been modernised like the other V270's and will be used for transport of other locomotives and trains for Arriva. 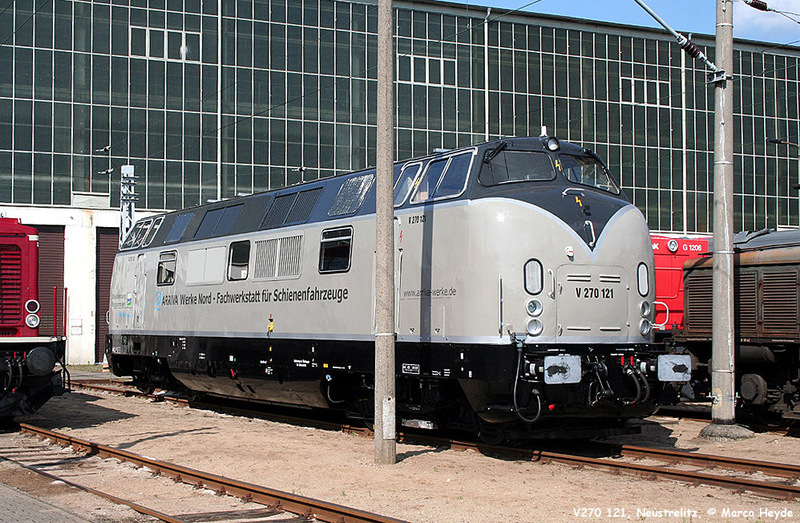 Also companies who have their locomotive in service at the Neustrelitz works can use the V270 121 in exchange or rent it for a longer period of time. 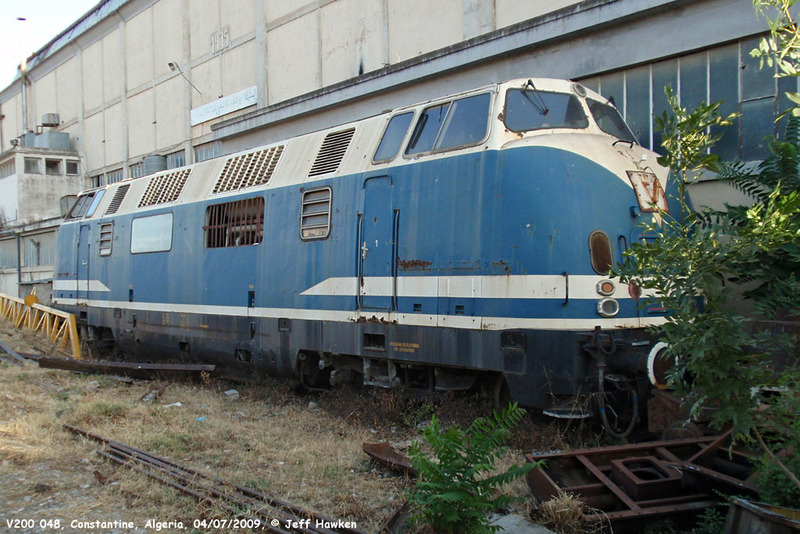 Locomotive V200 048 went to Algeria in 1986 and was used by Heitkamp for track renewing. After the track work was completed it was unclear what had happened with the loco (probably scrapped). But she still exists! It was always assumed that the locomotive had been sold to the SNTF, but this did never happen, nor did they use it. The locomotive was simply dumped in the depot of Constantine after the track work was completed. Thanks to Jeff Hawken for sharing this picture with us. Click here for previous news items.